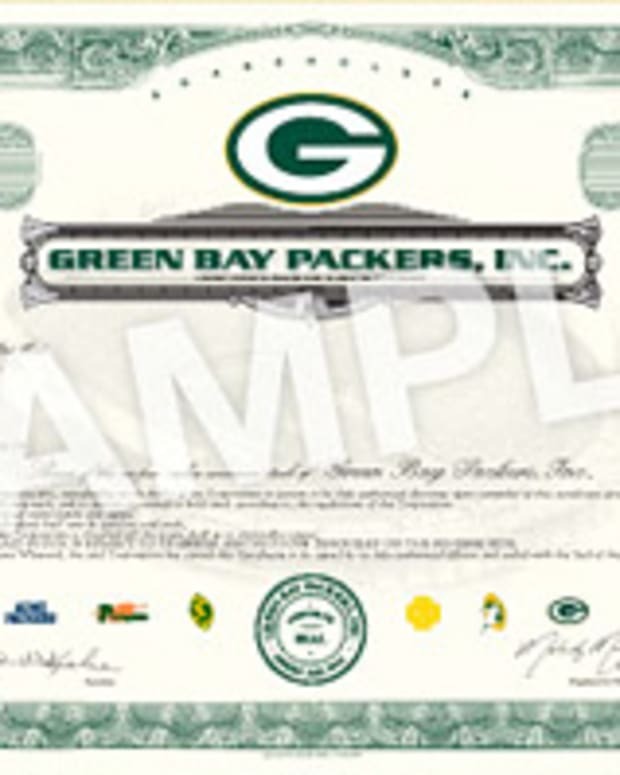 The Green Bay Packers, amazingly enough, sold $46.3 million in nearly-worthless stock through two days of share offering. According to an e-mail sent out by team President Mark Murphy, the Packers moved over 185,000 shares (at $250 a pop, plus fees) in the first 48 hours of sale. Although the only publicly owned sports franchise in America originally planned to peddle a mere 250,000 in essentially worthless shares, the massive total of people willing to give the team money for nothing is causing them to reconsider. So, in other words, if you have cash that your toilet refuses to flush, fear not, the defending champs may have more shares for you. As we noted on Opposing Views a few days ago, Packers stock is worth a couple of cents in actual monetary value and can’t be resold. It also pays out no dividends. You do, on the bright side, get to vote for the team’s board of directors and attend stockholders’ meetings with folks who also hate money weighing down their wallets. Then again, by purchasing stock, you’re giving NFL Commissioner Roger Goodell the right to punish you -- as per the fine print -- if you a.) gamble on NFL games or b.) annoy him. Don’t worry, though – he’s actually a master of restraint when it comes to punishing people for offenses he deems detrimental to the league.